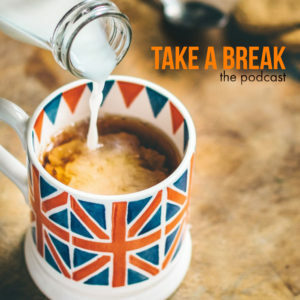 The Take A Break Podcast is officially up and running! I’m excited (and nervous) to announce that Episode One of the new Take A Break Podcast went live this morning on WPCD 88.7, Parkland College’s radio station. It is now officially has wings, and is ready for your listening pleasure. For the inaugural episode, I sat down with WPCD’s Director, Deane Geiken, to talk about, well, lots of things. As a reminder, I’m open to talking to anyone about anything, in the hope that I’ll inform, entertain, and possibly inspire you, as well as learn something myself. Everyone’s got a story to tell, and I want to know a bit more about the folks who live around us. Every other Friday, you can hear my interviews with chefs, movie directors, animal rescue organizations, and solar power experts, to name a few. 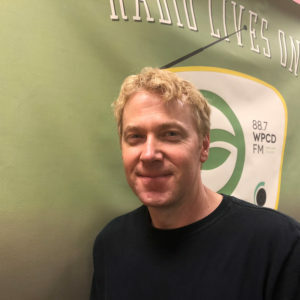 Don’t worry if you miss the first airing on WPCD 88.7, or you simply want to listen to it again, because it’s now available for streaming and download. Right here. And in a few days, it’ll be available via Apple Podcasts and Spotify. Subscribe for updates and notifications today. And if you have ideas or suggestions of people I could Take A Break with, please let me know. Credit for the Take A Break soundtrack goes to Kelsey Sharp and her amazing song “Shine.” Download a copy today at Perimeter Road, and for more of Kelsey’s music, be sure to follow her on Facebook at Kelsey Sharp Music.